We know that purchasing an automobile can be overwhelming. Do you purchase new or used? Is late model or low mileage more of a priority? Everywhere you turn, there are more decisions. Because we know that drivers wrestle with these questions, at Fernandez Honda we make certain to staff our team with knowledgeable and trusted employees to assist you every step of the way. If you’re considering a used vehicle, you’ve come to the right place. We have cars, trucks, vans, and SUVs in our pre-owned selection. If you’re searching for something specific, use the online tools to help narrow down your search. You can choose to filter your search by body type, mileage, price, makes, models, year, and more. Before you begin your search, first take a look at all the Honda CR-V has to offer. The exterior of the CR-V continues to remain fresh and stylish. Even better news? The roomier cabin, of course. Inside, you’ll find plenty of technology and comfort features. When your friends and family join you on trips, they’ll have plenty of space. At Fernandez Honda, we have several used Honda CR-Vs in stock. To learn more about the CR-V and all it has to offer, let’s look more closely at the 2015 model. LX – This base trim provides Bluetooth®, a rearview camera, CD player, a height-adjustable driver seat, an auxiliary audio jack, a 60/40-split folding and reclining rear seat, 16-inch steel wheels, cruise control, USB audio interface, four-speaker sound system, Pandora internet radio compatibility, air-conditioning, a tilt-and-telescoping steering wheel, and full power accessories. EX – This trim comes with fog lights, a 7-inch touchscreen, extra USB port, 17-inch alloy wheels, keyless entry and ignition, a sunroof, heated front seats, six-speaker sound system, retractable cargo cover, automatic headlights with LED running lights, rear privacy glass, and blind-spot monitoring. EX-L – This trim adds dual-zone automatic climate control, a seven-speaker sound system, heated side mirrors, satellite radio, leather upholstery, roof rails, and an auto-dimming rearview mirror. Touring – This top trim comes with lane departure warning, projector beam headlights, adaptive cruise control, 18-inch wheels, driver seat memory settings, HD radio, power liftgate, navigation system, 18-inch wheels, and forward collision mitigation system. As you can see, each trim of the Honda CR-V offers drivers plenty of luxury, safety, and technology features. Your friends and family will enjoy long road trips across the state or country when you’re at the wheel of the Honda CR-V.
At our dealership, we give drivers plenty of reasons to keep coming back. Whether you’re looking for a diverse inventory filled with competitively priced vehicles, a top-notch service center, or a variety of specials and deals, we’ve got you covered every step of the way. When it comes to buying used, not only do we have low prices on popular vehicles, we also give customers other chances to save as well. For instance, our pre-owned inventory includes a section of vehicles priced under $10k. We also have many deals and specials including pre-owned vehicle specials. If you see something you’re interested in on our site, don’t hesitate to contact us. Our pre-owned inventory is ever changing and our automobiles go fast. As far as our deals are concerned, they are for a limited time only. That means if you see something on sale now, it’s best to take advantage of the pricing. The prices you see listed on our site today could be gone tomorrow, so don’t miss out on your chance to save big on your dream vehicle. 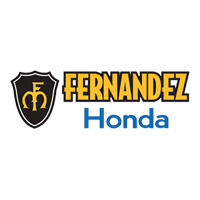 If you’re in need of service, Fernandez Honda provides a top-quality service center. In our service department, our knowledgeable technicians provide fast and efficient maintenance and repairs. Whether you’re in need of updated brakes, an oil change, tire rotation, or other service, our experts will ensure that you get back on the road in no time. To help with costs, we even offer service specials and parts specials. We are conveniently located at 8015 Interstate 35 Access Road, San Antonio, TX 78224. We’re just a short drive for residents of Devine, Jourdanton, and Hondo. Stop by today to come see us. Once here, our sales associates will happily show you around and let you take a test drive. Come see our vehicle selection up close and personal. We look forward to putting you behind the wheel.